The original Ultra Jet wet end fitted to a quality US Motors smooth body pump motor. Smooth body motors are best used when space, height in particular is an issue. 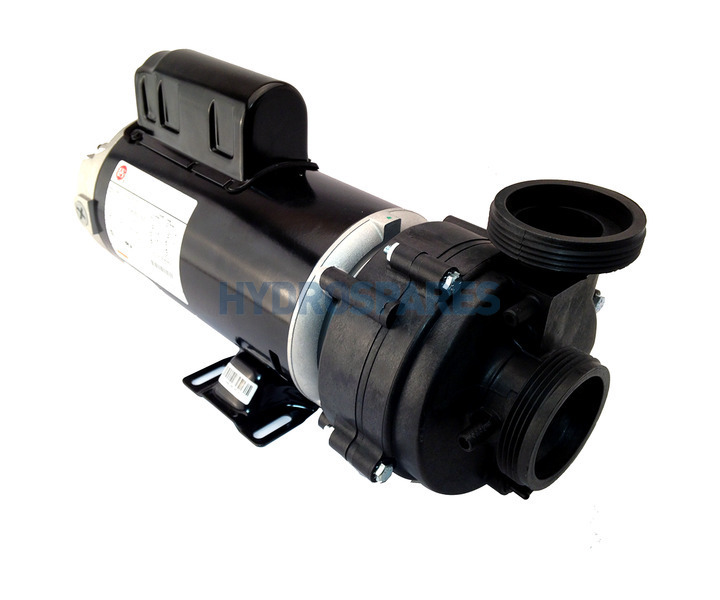 This is the pump to use when you're looking to replace an older Ultima or UltraJet pump with the USA style smooth body motor featured on many makes of hot tub from Hydropool and Canadian Spas, as well as many other manufactures. The Ultrajet wet end was also used on some Sta-Rite motors. Pumps are supplied without a cable.